Read. Engage. Apply. : What Happened to Jesus' 12 Disciples? The baptism Jesus was referring to was his death. Just as Christ would be killed he was letting them know that those who were faithful to him may die as well. He was challenging them: Are you really willing to be killed for the sake of the gospel and the kingdom of God? And while they readily agreed, they did not know that 11 of the 12 disciples would die a martyrs' death. The fate of Jesus’ followers: What happened to John and the other disciples? James was the second recorded martyr after Christ’s death. His death is recounted in Acts 12:2, which reports that Herod Agrippa killed him with a sword. Date of martyrdom: AD 44–45. 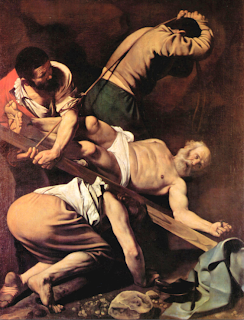 Peter was crucified by Roman executioners because he would not deny his Master a second time. According to Eusebius, Peter thought himself unworthy to be crucified as his Master, so he asked to be crucified “head downward.” Date of martyrdom: ca. AD 64. Andrew was hanged from an olive tree at Patrae, a town in Achaia. Date of martyrdom: AD 70. Thomas was impaled with pine spears, tormented with red-hot plates, and burned alive. Date of martyrdom: AD 70. Philip evangelized in Phrygia, where a hostile audience had him tortured and crucified. Date of martyrdom: AD 54. Matthew was beheaded at Nad-Davar in Ethiopia. Date of martyrdom: AD 60–70. Nathanael (Bartholomew), unwilling to recant of his proclamation of a risen Christ, was flayed and crucified. Date of martyrdom: AD 70. James the Lesser was cast down from the top of the temple in Jerusalem and beaten to death with a fuller’s club to the head. Date of martyrdom: AD 63. Simon the Zealot was crucified by a governor in Syria. Date of martyrdom: AD 74. Judas Thaddaeus was beaten to death with sticks. Date of martyrdom: AD 72. Matthias replaced Judas Iscariot as the twelfth apostle of Christ (Acts 1:26). He was stoned to death while being crucified. Date of martyrdom: AD 70. In many parts of the world, Christians face physical danger for their faith. For others, following Christ may cause them to put their own plans and dreams on hold while they die to their own interests and pursue Christ's plans for them. Where will your faith in Christ take you? * The list above is taken from my book Navigating the Bible, which will be published by Barbour Publishing in February 2014.